A ‘Once in a Lifetime Opportunity” to own the very best of Motor Yachts stationed at Mumbai. Made in Italy by’ Ferretti’, renowned for making the most luxurious and sophisticated Motor Yachts. This Ferretti 881 can give the very best of mega-yachts a run for their money. The Yacht looks and feels like brand new, retaining most of its original beauty and charm. The Yacht must be seen to believe the exceptional state that she has been in till date. 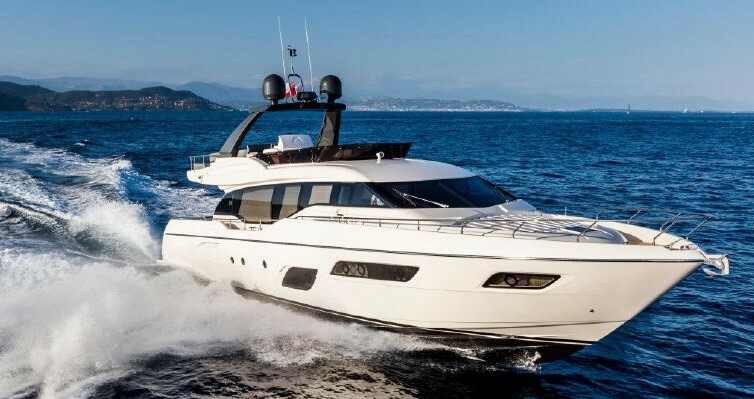 This Ferretti 881 has been sparingly used and has unbelievably low engine hours, making her the most attractive proposition for any prospective buyer. “Priced for a Quick Sale”, Samara is eagerly waiting for a new owner.